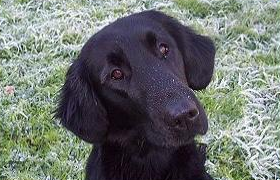 We have been involved in flat-coats since 1985 - showing and retrieving. Our dogs are hip/elbow scored and have clear eye certificates. Temperament and soundness are paramount in our breeding program. 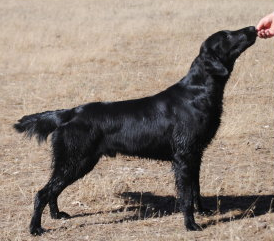 We are approved breeders of the Flatcoated Retriever Assn of Vic and Dogs SA. We are both past Presidents of the Gundog Club of South Australia (SA), and held various executive positions in both the Gundog Club and the German Shorthaired Pointer Club of SA Inc, over a long period of time. 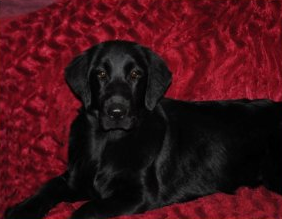 Ross was an Obedience Instructor for the Gundog Club for many years, as well as being a Committee Member. We have both been involved in managing Retrieving Trials for the Gundog Club and the German Shorthaired Pointer Club. Jean is on the Committee for two All Breeds Clubs - being Treasurer of one. We both count it a great honour to have been made Honorary Life Members of both the Gundog Club of SA Inc, and the German Shorthaired Pointer Club of SA Inc.
MORE IMPORTANTLY, as lovers of this wonderful breed we are dedicated to breeding dual purpose Flat Coats that are true to breed type, and have the correct temperament - which make them a pleasure to live with. A folder continaing photos, copies of parents pedigrees and health certificates, breed information sheet and diet sheet. For more information please visit our website or send us a message with any enquiries.